Two clubs have caught my eye recently. One of them seems destined not to lose, while the other is dreaming of a draw, never mind a win! The Vickers, from Crayford, South East London, are on a scintillating run of form that has seen them go unbeaten in thirty two league games. Incredibly, they have won twenty nine of those matches. They currently sit thirteen points clear at the top of the Isthmian League Division One North table, and have scored forty two goals in their thirteen matches so far. Ironically, they haven’t been able to replicate this form in the cups, having exited every competition so far! The league table is a tad false, though, as Witham Town have three games in hand, currently lying in third and potentially cutting the gap to five points should they win those games. Their top scorer is Sherwin Stanley with ten goals, although Karl Dent and James Duckworth aren’t far behind, on nine and eight respectively. It has been a turbulent couple of years for VCD as they fought to get to this level again. In 2008-09, they won the Kent Senior League to take their place in the Isthmian League, and finished eighth in their first season. However, they were demoted that summer back to the Kent League after their ground was deemed unsuitable. In 2005, the club were granted planning permission to redevelop their Oakwood ground. They rotated their pitch by ninety degrees, and relaid perimeter paths and fences, whilst also improving the facilities at the ground. And it’s the perimeter paths that seemingly caused their demotion. Apparently, they were only one metre wide instead of two, and despite the fact that the work was due to be completed in time to meet League deadlines, the powers that be still demoted them. That was in 2010, and it has taken a further two seasons to get back to where they will undoubtedly feel they deserve to be. I’m sure we will be seeing them in the Isthmian Premier next season. Saturday, April 7th 2012. That is a day that any Woodford United fan will be able to recall with ease. Why? Well, not only is it the last time they won a league game, it is also the last time they avoided defeat! That’s right, they have lost an incredible fifty seven league games in a row! After that game in April, a 2-1 home victory against Chertsey Town, they lost their remaining four games of that season. Last season, they lost every single one of their forty two matches in the Southern League Division One Central. They took some absolute hammerings along the way, including two 10-0 defeats in the space of a couple of weeks. They almost ended their run on the final day of the campaign in a home match with Godalming Town. They took the lead with twenty minutes to go, but then conceded twice in the final quarter of an hour to maintain their 100% record. They finished the season scoring twenty one goals and conceding one hundred and eighty five! An almighty goal difference of minus one hundred and sixty four. And as any good striker knows, a goal every other game is a great achievement for a player, but not so much for an entire team! This season, they have lost all eleven games in United Counties Division One. Obviously, that puts them bottom of the table, and they have already racked up a goal difference of minus forty three. On top of their league results, United have gone out of every cup competition at the first hurdle, taking their losing run to more than sixty matches. So just why are they so bad? Well, they have to mainly play their youth team players in first team games due to difficulties in attracting players to the club. This is largely down to the isolated location of the club, making travel difficult and expensive. It’s a true testament to the young lads who turn up to play every week, along with the volunteers, that the club is still going. The squad are largely unpaid, and could be forgiven for sacking it, but they don’t, and that should make anybody associated with the club very, very proud. 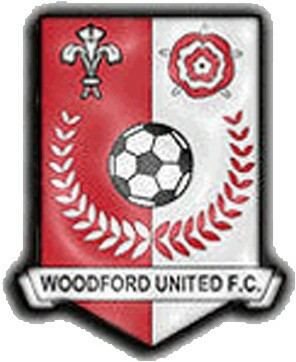 I am really hoping Woodford United pull off their result soon, although I would not like to be the club on the receiving end of it! Posted on October 24, 2013, in UTL Archive and tagged VCD Athletic, Woodford United. Bookmark the permalink. Leave a comment.